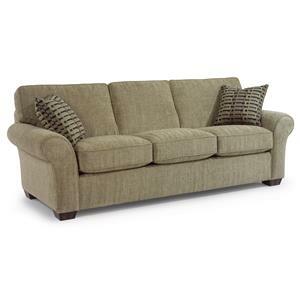 Spend your evenings and weekends relaxing in comfort with this transitionally styled three-cushion sofa. 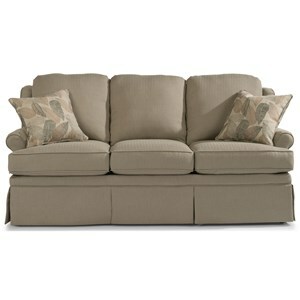 Features such as its large rolled arms and plush cushions work together to create this sofa's inviting aesthetic. 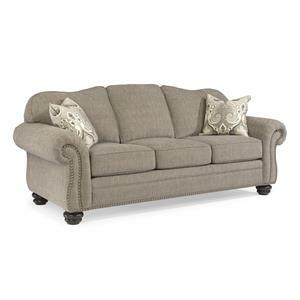 Whether you are adding seating to an open concept entertainment area or to a traditional living room, this sofa is ready to provide you with both the comfort and style you've been looking for. 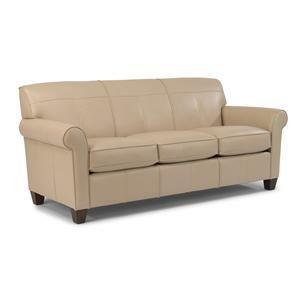 The Randall Transitional 105" Three-Cushion Sofa with Rolled Arms by Flexsteel at Fashion Furniture in the Fresno, Madera area. Product availability may vary. Contact us for the most current availability on this product. Fabric Options Available in a wide selection of fabrics. Wood & Finish Florentine finish comes standard. A variety of other finish options are also available. Seat Support This exclusive, lifetime-guaranteed blue steel seat spring delivers unmatched comfort and durability. And, unlike eight-way hand-tied springs, it never needs retying or replacing to keep you from getting that sinking feeling a few years from now. The Blue-Ribbon seat support unit features evenly spaced, dual steel ribbons that run along the length of the frame with a solid steel arch riveted on the back of each ribbon to provide extra support where it's needed most. An extra perpendicular steel ribbon bands the entire system together for even more durability. Padding & Ergonomics Plush cushions with a high-resiliency polyurethane foam core wrapped with recover foam comes standard. Extra-Firm and Feather Blend cushions available through special order methods. 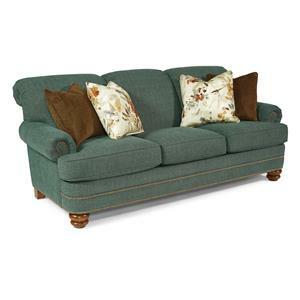 The living room you've always imagined isn't out of reach with this customizable collection. 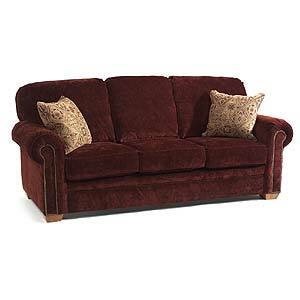 Large rolled arms and rounded corners create the inviting look that this collection will bring into your home. Each piece you see here is customizable, giving you the options needed to create the perfect piece or set for your space and lifestyle. This collection gives you the freedom to choose the fabric, leg finish color, accent pillows and even cushion firmness to capture the look you've been after. Backed by Flexsteel's time-tested spring Blue-Ribbon spring system, you'll be enjoying your new furniture for years to come. 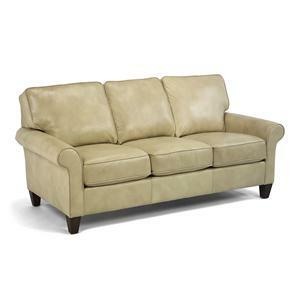 The Randall collection is a great option if you are looking for Transitional furniture in the Fresno, Madera area. 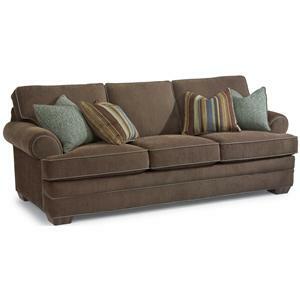 Browse other items in the Randall collection from Fashion Furniture in the Fresno, Madera area.